Power-failure operation offers peace of mind during power outages. 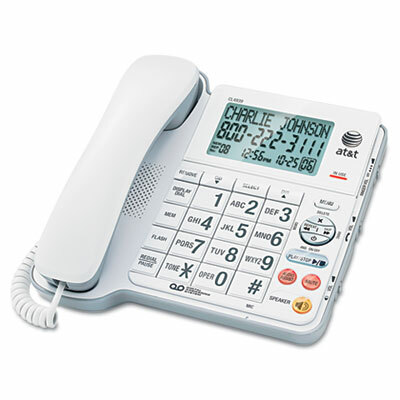 Large, tilt display and oversize buttons make it easy to make and receive calls. Audio Assist™ feature increases overall volume and enhances sound frequencies to make speech easier to understand. Fully integrated answering machine lets users screen calls and check message while away. Tri-lingual menus support easy interaction and user convenience. Compatible with most hearing aids.